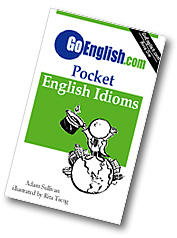 Today's Idiom = "A Case In Point"
A case in point is an example which makes clear what you want to express. Example: "Jane called. She will be late for this morning's meeting." Reply: "Case in point. We really cannot rely on her."